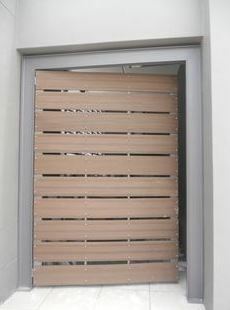 Our composite gates are the perfect combination of functionality and style. The cladding boards used for these gates are extremely weather resistant and UV resistant, ensuring that your composite gate lasts for years. The boards are also durable and lightweight, yet solid, meaning that you are not only guaranteed style but safety as well. Contact us today to view samples of composite boards and get your free quotation!